Instead of £62.00. You save £3.10 due to the online discount . Do you want to divide your warehouse into subareas using a partitioning system? Then you require add-on elements to ensure the correct height of the partition doors. 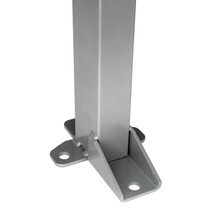 The TROAX® add-on element for hinged doors is very easy to install. 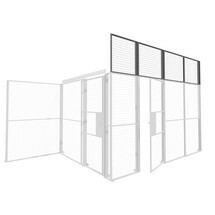 A partitioning system enables well organised subdivision of the different areas in your warehouse and production facilities. 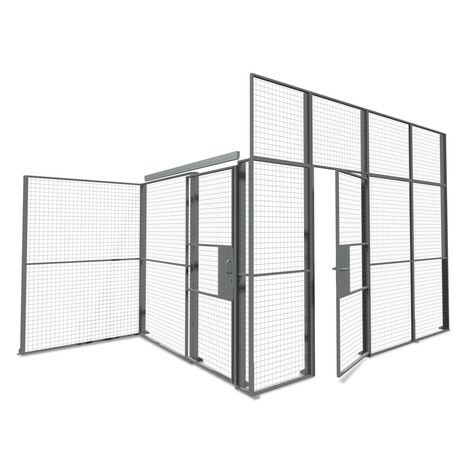 This allows you to accelerate your workflows while also benefiting from break-in protection and added safety. The hinged door element serves as an attachment, which ensures the correct height of your partitioning system above the doors. The TROAX® add-on element for hinged doors is compatible with all TROAX® hinged doors and offers quick and simple bolted assembly. The partition element is powder-coated for durability and is thus more than capable of withstanding the rigours of daily use in industrial environments. 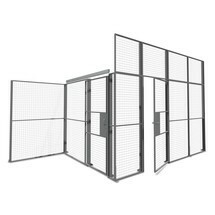 Like the other wall elements in the system, the hinged door attachment has a mesh size of 50 x 50 mm. 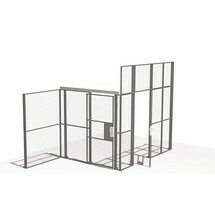 Configure your perfect partitioning system. Purchase hinged door elements for ideal warehouse subdivision from our shop.